In my posts yesterday I hinted that there would be upcoming posts about recent changes in the ELCA (the Evangelical Lutheran Church in America). Today, I offer a guest post sharing some reflections from my brother Thomas who was a voting member at the ELCA’s Churchwide Assembly on behalf of the Southwestern Washington Synod. Thomas is in the midst of graduate studies in social work and urban and regional planning, and studied economics, global studies, political science, and religion in undergrad. Thomas recently reflected some on his experiences at the assembly, and with his permission I am sharing some of these here with you. When I asked for his permission he wanted me to note that there was so much more that he could and perhaps should have included. Please enjoy reading Thomas’ perspectives, and thank you Thomas for being willing to share them. God is doing wondrous things! I have to be honest, prior to arriving in Pittsburgh I was a little apprehensive and nervous, not knowing what to expect. To put it simply, this experience was truly a blessing! I didn’t know what to expect, but I truly felt God speaking to me through his Spirit. I’m still discerning this mystery of what I was and am being told, but I was moved, and I wasn’t expecting that. This year marks the 25th anniversary of the Evangelical Lutheran Church in America (ELCA). Celebrating these 25 years through Christ, the theme chosen for the 2013 Churchwide Assembly (CWA) was “Always being made new.” This theme celebrates what God is doing though us here at home and around the world. In 2 Corinthians 5:17, Paul writes “So if anyone is in Christ, there is a new creation: everything old has passed away; see, everything has become new!” God continues to make everything new through Christ who is God with us, Immanuel, so that we know that through God’s grace God reconciles us and all that is to himself. 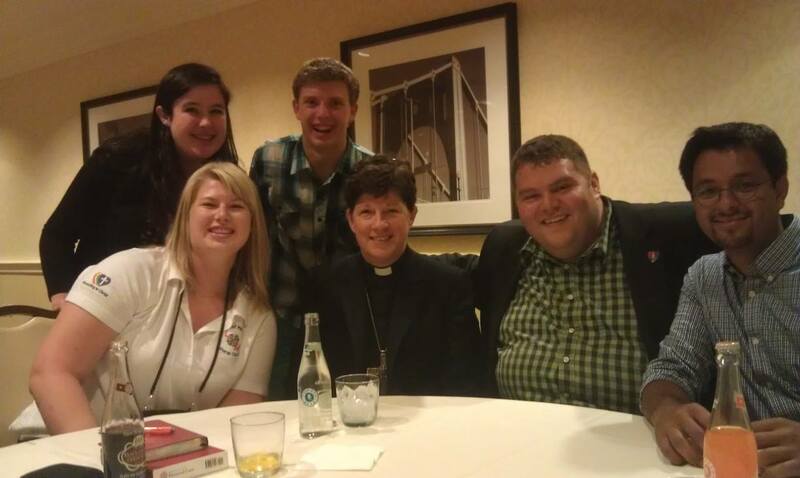 With the Spirit flowing through us, we were called to elect a new presiding bishop of the ELCA. Bishop Elizabeth Eaton of the Northeastern Ohio Synod will be the next pastor of the Church. Post this election, media ran wild with news that “a woman had ousted Bishop Hanson”. This is an inaccurate statement, truly belittling God’s Spirit and the love that each nominee has for one another. 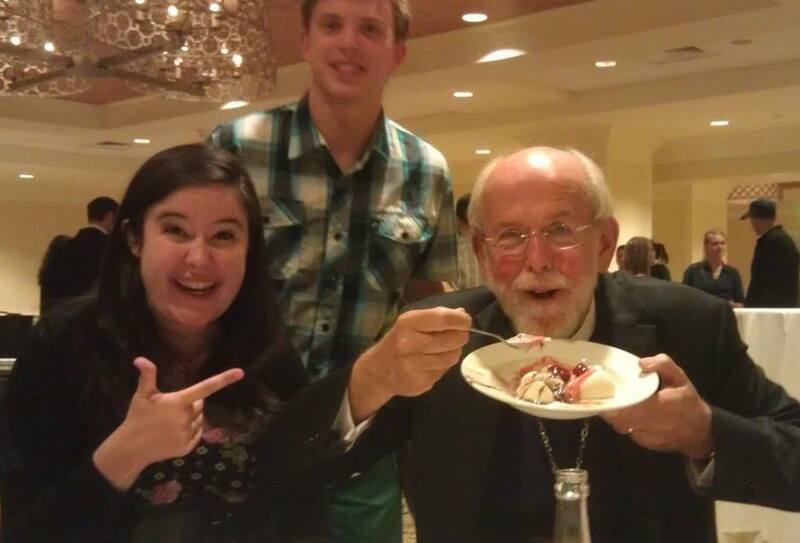 At an ice cream social with other young adults and Bishops Mark Hanson and Elizabeth Eaton, Bishop Eaton told a story of how during a family crisis the first person to share their support and condolences was Bishop Hanson. She spoke to the love she has for him, and that he is her pastor. This was but one of countless stories shared by so many at the assembly of God working through Bishop Hanson during these past 12 years where he has been pastoring the ELCA. The Spirit is now calling him to unknown and new ventures. I cannot tell you how much Bishop Hanson means to me. Years ago I watched the National Geographic documentary “In God’s Name” and Bishop Hanson spoke to God suffering with us, calling us to serve each other. These words he shared solidified a trust and hope in God’s radical love through the death and resurrection of Jesus Christ. These past 25 years have been filled with smooth and rough waters, and Bishop Hanson pastored us through many of them. At the assembly he reminded each of us that we are all called by the Spirit, and asks us to ponder the question “What makes your heart sing?” while discerning what God is calling us to do. Using a reference to popular culture, some youth started saying on media sites “#hansonisdumbledore”. The wise, humble, loving, and active Professor Dumbledore of the Harry Potter series became a symbol of the pastoring that Bishop Hanson has shared with the world. Thank you, God, for gifting us Bishop Hanson as a leader of the ELCA for so many years. And thank you, for calling forward Bishop Eaton to lead us into the future. Although the election of Bishop Eaton remained a highlight of the week, the CWA was filled with so many amazing and challenging discussions, speeches, votes, sermons, and even hymns. What does it mean to be made new? I am still learning. But I do know that I felt God speaking to all of us, albeit differently, as we are all different parts of the body of Christ, still speaking and moving us all. We as a Church adopted a statement on criminal justice; called Pastor Wm Chris Boerger, former Bishop of the Northwest WA Synod, as the new Secretary of the ELCA; discussed the importance of being a church which recognizes and lives out God with us, freeing us from sin to serve and love all God’s creation; continue to support the fights against and cures for HIV and malaria throughout the world; able to sing and dance to God’s mystery and love; and even ate ice cream with celebrities of the church. And personally, I had a chance to learn about how my growing passions for community organizing and community development are very much alive through the local, national, and global Church. God, you make all things new, and in ways that don’t make sense. Thank you for the liberating mystery and calling of your love. You are blessed. God’s peace be with you.